At the heart of the debate is how long the Senate should debate a nomination after the nominee has cleared an FBI background investigation and been referred by the relevant committee to the Senate floor for final consideration. Most nominees have traditionally gone from committee to Senate floor to final votes relatively quickly, but the first two years of the Trump administration saw 128 cloture votes on ending debate on nominations. Once debate is ended with the cloture vote, Senate rules stipulate 30 hours of debate. But, as Lankford pointed out earlier this week, there is typically at least another day of delay before the 30 hours begins. Senate leaders also have more ways to delay things via the chamber’s schedule, and Democrats and Republicans have both used them. Wallner is a former executive director of the Senate Steering Committee under Republicans Pat Toomey of Pennsylvania and Mike Lee of Utah. 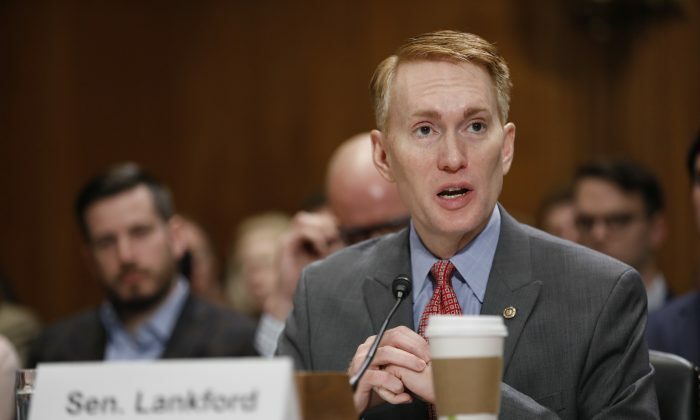 Lankford’s proposal would require that the 30 hours of debate apply only to Supreme Court and presidential cabinet nominations, with no more than eight hours for important but less visible jobs and only two for others such as sub-cabinet level posts and federal district court judges. The Oklahoma senator said his proposal is similar to one adopted with Republican agreement in 2013 as a temporary measure under then-Senate Majority Leader Harry Reid (D-Nev.). The deal allowed President Barack Obama’s nominations to move to confirmation much faster than Trump’s have since 2017. The Lankford proposal must be approved by the Senate Rules Committee chaired by Sen. Roy Blount (R-Mo. ), then receive 60 votes on the floor. The 53 Republicans would need seven more votes from among the Senate’s 45 Democrats and two Independents to support the change to be made. Hanging over the controversy are Republican threats to invoke the so-called “nuclear option” with a standing order requiring only 51 votes, as Reid did to eliminate filibusters on top-level nominees in 2013. Also adding pressure on Senate Republicans is the festering impatience among conservative voters for an end of Democratic blocking of Trump appointees, especially those to the federal judiciary. “This rule change is long overdue and will significantly limit pointless obstruction tactics regularly used by Senate Democrats,” GOP campaign consultant Matt Mackowiak told The Epoch Times. “Noncontroversial nominees should not require 30 hours of debate. This rule change will move judicial and executive branch nominations more quickly, which is a very good thing,” he said. Mackowiak was press secretary for former Sen. Kay Bailey Hutchinson (R-Texas). Quin Hillyer, former high-ranking aide to then-House Appropriations Committee Chairman Bob Livingston (R-La.) told The Epoch Times he hopes the conflict can be resolved without nuking the rules, but such an outcome depends on Democrats. “Republicans agreed to the shorter debate limits under Obama, so Democrats should do the same now and should formalize it by agreeing to the rules change,” said Hillyer, author of the three-volume “Mad Jones, Heretic” book series.